(¿¿¿???) 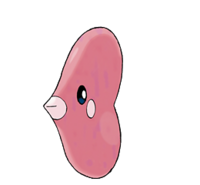 NAME: Luvdisc, PKDEX: (¿¿¿???) , OT: PKOEN, ID: 24142 , FECHA: 24/14/09, CATCHED: CHERISH BALL, LEVEL: 25, ITEM: (¿¿¿???) , NATURE: (¿¿¿??? ), Pokémon Event, Had a Fateful Encounter at LV 25, STATS: HP=(¿¿¿???) Attack=(¿¿¿???) Defense=(¿¿¿???) Sp. Attack=(¿¿¿???) Sp. Defense=(¿¿¿???) Speed=(¿¿¿??? ), Ability: (¿¿¿??? ), ATTACKS: (¿¿¿???)=(¿¿¿???) (¿¿¿???)=(¿¿¿???) (¿¿¿???)=(¿¿¿???) (¿¿¿???)=(¿¿¿???) Ribbon: (¿¿¿???). NAME: Delibird, PKDEX: 225 , OT: PKOEN, ID: 25012 , FECHA: 25/12/08, CATCHED: CHERISH BALL, LEVEL: 30, ITEM: Icy Rock , NATURE: Quiet, Pokémon Event, Had a Fateful Encounter at LV 30, STATS: HP=95/95 Attack=66 Defense=60 Sp. Attack=79 Sp. Defense=60 Speed=70, Ability: Vital Spirite, ATTACKS: Avalanche=10/10 Ice Beam=10/10 Blizzard=5/5 Aurora Beam=20/20 Ribbon: CLASSIC RIBBON. 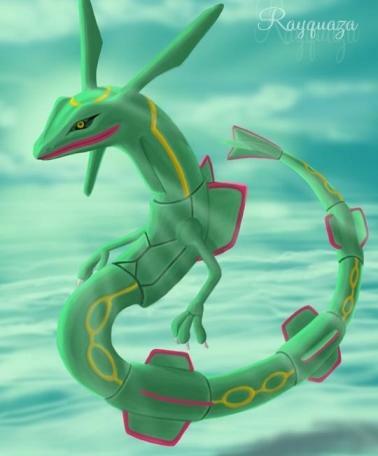 NAME: RAYQUAZA, PKDEX: 384, OT: PKOEN, ID: 11240, FECHA: 05/12/08, CATCHED: CHERISH BALL, LEVEL: 70, ITEM: Expert Belt, NATURE: SERIOUS, Pokémon Event, Had a Fateful Encounter at LV 70, STATS: HP=292/292 Attack=280 Defense=196 Sp. Attack=280 Sp. Defense=196 Speed=203, Ability: Air Lock, ATTACKS: Hyper Beam=5/5 Fly=15/15 Outrage=15/15 Rest=10/10 Ribbon: CLASSIC RIBBON. NAME: REGIGIGAS, PKDEX: 486, OT: PKOEN, ID: 11720, FECHA: 29/11/08, CATCHED: CHERISH BALL, LEVEL: 50, ITEM: King´s Rock, NATURE: ADAMANT, Pokémon Event, Had a Fateful Encounter at LV 50, STATS: HP=217/217 Attack=233 Defense=162 Sp. Attack=118 Sp. Defense=162 Speed=152, Ability: Slow Start, ATTACKS: Crush Grip=5/5 Iron Head=15/15 Icy Wind=15/15 Rock Slide=10/10 Ribbon: PREMIER RIBBON. NAME: REGICE, PKDEX: 378, OT: PKOEN, ID: 11720, FECHA: 29/11/08, CATCHED: CHERISH BALL, LEVEL: 40, ITEM: Never Melt Ice, NATURE: IMPISH, Pokémon Event, Had a Fateful Encounter at LV 40, STATS: HP=151/151 Attack=102 Defense=178 Sp. Attack=91 Sp. Defense=162 Speed=82, Ability: Clear Body, ATTACKS: Crush Grip=5/5 Icy Wind=15/15 Ice Beam=10/10 Superpower=5/5, Ribbon: CLASSIC RIBBON. NAME: REGIROCK, PKDEX: 377, OT: PKOEN, ID: 11720, FECHA: 29/11/08, CATCHED: CHERISH BALL, LEVEL: 40, ITEM: Hard Stone, NATURE: IMPISH, Pokémon Event, Had a Fateful Encounter at LV 40, STATS: HP=151/151 Attack=122 Defense=222 Sp. Attack=73 Sp. Defense=122 Speed=82, Ability: Clear Body, ATTACKS: Crush Grip=5/5 Rock Slide=10/10 Rock Throw=15/15 Superpower=5/5, Ribbon: CLASSIC RIBBON. NAME: REGISTEEL, PKDEX: 379, OT: PKOEN, ID: 11720, FECHA: 29/11/08, CATCHED: CHERISH BALL, LEVEL: 40, ITEM: Metal Coat, NATURE: NAIVE, Pokémon Event, Had a Fateful Encounter at LV 40, STATS: HP=151/151 Attack=102 Defense=162 Sp. Attack=102 Sp. Defense=145 Speed=90, Ability: Clear Body, ATTACKS: Crush Grip=5/5 Iron Head=15/15 Metal Claw=35/35 Superpower=5/5, Ribbon: CLASSIC RIBBON. NAME: EGG, PKDEX: 387, OT: (HATCHED), ID: (HATCHED), FECHA: 05/09/08, CATCHED: CHERISH BALL (EGG), POKE BALL (POKEMON), LEVEL: 1 or (EGG), ITEM: No Item, NATURE: (HATCHED), Pokémon Event, Hatched from an egg, STATS: HP=(HATCHED) Attack=(HATCHED) Defense=(HATCHED). 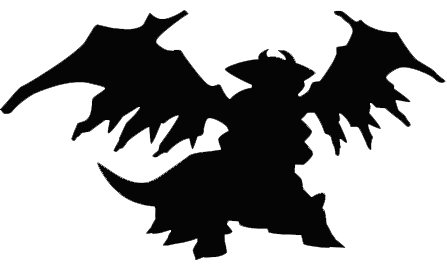 Attack=(HATCHED) Defense=(HATCHED) Speed=(HATCHED), Ability: Pressure, EGG ATACKS: Tackle, Fly, Earthquake, Leaf Storm. NAME: DEOXYS, PKDEX: 386, OT: PBFEV, ID: 21078, FECHA: 14/08/08, CATCHED: CHERISH BALL, LEVEL: 50, ITEM: Custap Berry, NATURE: MODEST, Pokémon Event, Had a Fateful Encounter at LV 50, STATS: HP=157/157 Attack=132 Defense=142 Sp. Attack=161 Sp. Defense=142 Speed=232, Ability: Pressure, ATTACKS: Hyper Beam=8/8 Psycho Bost=8/8 Recover=16/16 Focus Punch=8/8, Ribbon: CLASSIC RIBBON. 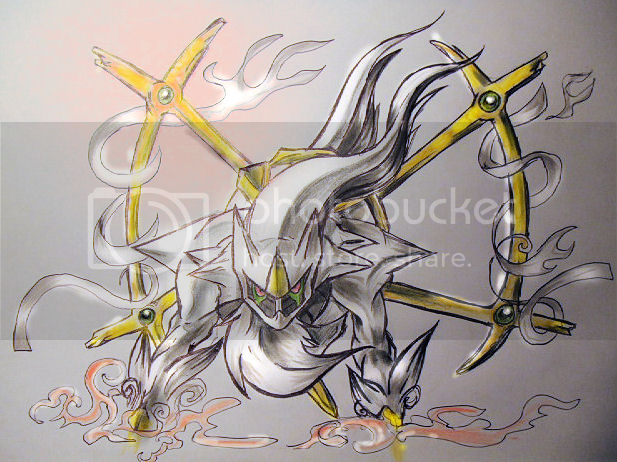 NAME: ARCEUS, PKDEX: 493, OT: PBFEV, ID: 21078, FECHA: 08/08/08, CATCHED: CHERISH BALL, LEVEL: 100, ITEM: Dread Plate, NATURE: MODEST, Pokémon Event, Had a Fateful Encounter at LV 100, STATS: HP=444/444 Attack= 305 Defense=339 Sp. Attack= 372 Sp. Defense=339 Speed=339, Ability: Multitype, ATTACKS: Perish Song=8/8 Recover=16/16 Hyper Beam=8/8 Judgment=16/16, Ribbon: CLASSIC RIBBON, PREMIER RIBBON. NAME: MEW, PKDEX: 151, OT: PBFEV, ID: 21078, FECHA: 04/08/08, CATCHED: CHERISH BALL, LEVEL: 30, ITEM: Cherish Ball, NATURE: JOLLY, Pokémon Event, Had a Fateful Encounter at LV 30, STATS: HP=100/100 Attack=65 Defense=65 Sp. Attack=58 Sp. Defense=65 Speed=71, Ability: Synchronize, ATTACKS: Metronome=16/16 Transform=16/16 MeFirst=32/32 Draco Meteor=8/8, Ribbon: CLASSIC RIBBON. NAME: PIKACHU, PKDEX: 025, OT: PBFEV, ID: 21078, FECHA: 16/07/08, CATCHED: CHERISH BALL, LEVEL: 100, ITEM: Light Ball, NATURE: LONELY, Pokémon Event, Had a Fateful Encounter at LV 100, STATS: HP=274/274 Attack=229 Defense=143 Sp. Attack=199 Sp. Defense Speed=279, Ability: Static, ATTACKS: Quick Attack=48/48 Thunderbolt=24/24 Volt Tackle=24/24 Surf=24/24, Ribbon: CLASSIC RIBBON. NAME: DIALGA, PKDEX: 483, OT: PBFEV, ID: 21078, FECHA: 01/08/08, CATCHED: CHERISH BALL, LEVEL: 50, ITEM: Adamant Orb, NATURE: RELAXED, Pokémon Event, Had a Fateful Encounter at LV 50, STATS: HP=207/207 Attack=172 Defense=189 Sp. Attack=202 Sp. Defense=152 Speed=127, Ability: Pressure, ATTACKS: Roar of Time=8/8 Spacial Rend=8/8 Flash Cannon=16/16 Ancient Power=8/8, Ribbon: CLASSIC RIBBON. NAME: PALKIA, PKDEX: 484, OT: PBFEV, ID: 21078, FECHA: 01/08/08, CATCHED: CHERISH BALL, LEVEL: 50, ITEM: Lustruos Orb, NATURE: TIMID, Pokémon Event, Had a Fateful Encounter al LV 50, STATS: HP=197/197 Attack=154 Defense=152 Sp. Attack=202 Sp. Defense=172 Speed=167, Ability: Pressure, ATTACKS: Spacial Rend=8/8 Roar of Time=8/8 Water Pulse=32/32 Ancient Power=8/8, Ribbon: CLASSIC RIBBON. NAME: DARKRAI, PKDEX: 491, OT: PBFEV, ID: 21078, FECHA: 21/07/ 2008, CATCHED: CHERISH BALL, LEVEL: 50, ITEM: Enigma Berry, NATURE: ADAMANT, Pokémon Event , Had a FateFul Encounter at LV 50, STATS: HP=117/117 Attack=156 Defense=142 Sp. Attack= 168 Sp. Def=142 Speed=177, Ability: Bad Dreams, ATTACKS: Roar of Time=8/8 Spacial Rend=8/8 Dark Void=16/16 Nightmare=24/24, Ribbon: CLASSIC RIBBON.